The January transfer window has been powering along with force since it was introduced back in 2003. In all of the January windows before this one, a total in excess of one billion pounds was spent on transfer fees, which is pretty incredible. Dealings involving Newcastle United take up a huge chunk of that money with estimated spend of around 58 million pounds and sales of approximately 62 million pounds! 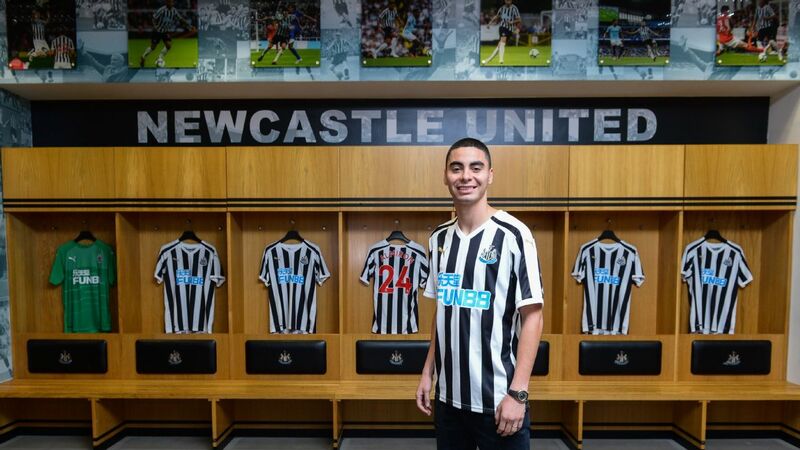 In hindsight this was the best deal in the history of Newcastle United. Fans were furious at the time -- especially when it quickly became clear that the timing of the deal, which helped the club to gain maximum revenue, meant that they could not (or chose not to) sign any able replacement. The short term signing of Shefki Kuqi was slightly embarrassing. Perhaps the club learnt from this as they look to sign Remy Cabella before offloading Yohan Cabaye? Since then, Carroll's value has plummeted. It did not work out for him on Merseyside and he then moved on to West Ham for 17 million pounds and he has hardly managed to kick a ball because of injury. I loved watching Carroll play for Newcastle -- he threw his head in where those less passionate for the club wouldn't -- but that transfer fee was just ridiculous! Cisse is Newcastle's all-time most expensive January recruit and his initial impact was phenomenal. He scored goals for fun including an absolute wonder-strike against Chelsea and made a mockery of the idea that it takes footballers time to adapt to a new league and country. Since then, though, things have declined for Cisse. He struggles for game time now and when he does play, he looks very rusty and short on confidence. He was recently linked with a big money move to the Middle East. Woodgate was Newcastle's first and most successful ever January signing. He was one of the best centre-halves I have ever seen at Newcastle despite his injury issues. He left after too short a time to join Real Madrid where injuries stopped him from going on to be one of England's all-time-great defenders. Boumsong is the poster boy for Newcastle's worst ever transfer window, thanks to Graeme Souness. Boumsong arrived along with Celestine Babayaro and Amdy Faye while Olivier Bernard and Craig Bellamy were shown the door. Newcastle were 13th in the Premier League the week after Given's departure but ended the season in 18th and were relegated. Relegation was not all down to Given leaving, but it certainly played a massive part. Who knows how it would have panned out had he stayed? Joe Kinnear was manager at the time and Newcastle had just been thrashed 5-1 at home to Liverpool -- a game in which Given was outstanding despite the result. Given will be remembered by most as the best keeper ever to play for Newcastle, but some will never forgive him for going.